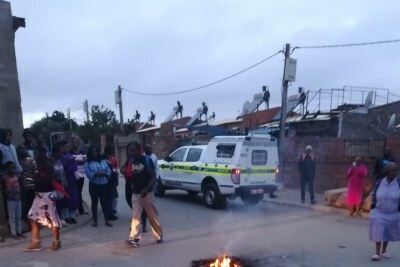 Cities in South Africa, including Cape Town and Johannesburg, have been rocked by residents taking to the streets to voice their frustration at the lack of services and housing, according to social media reports. Barricaded roads and burning tyres have become common, as police in some instances fired rubber bullets to disperse protesters. 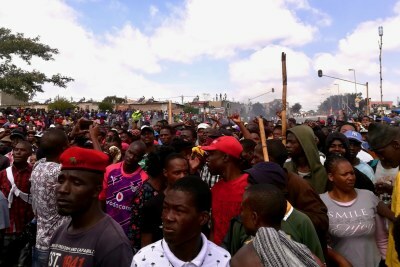 This past week, residents of Alexandra Township in Johannesburg, marched on the economic hub of Sandton to protest against their living conditions - the #AlexTotalShutDown movement - while the same actions are taking place in smaller towns across the country. 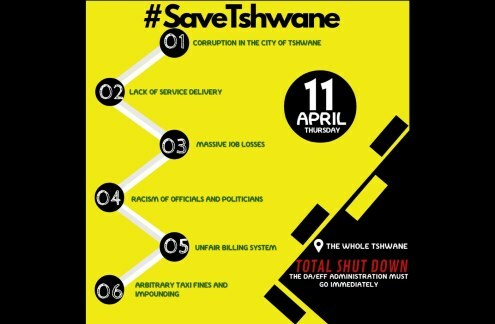 Image spread on social media promoting Total Shutdown protests. 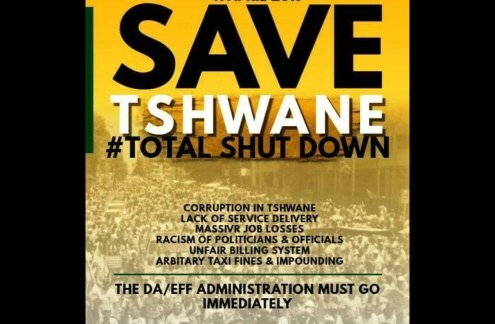 The images call for the removal of the Economic Freedom Fighters and the Democratic Alliance.